Many cameras are night-blind, this means you can’t see anything at night. With a standard IRlight only 20 m will be possible. This, however, often is not sufficient. 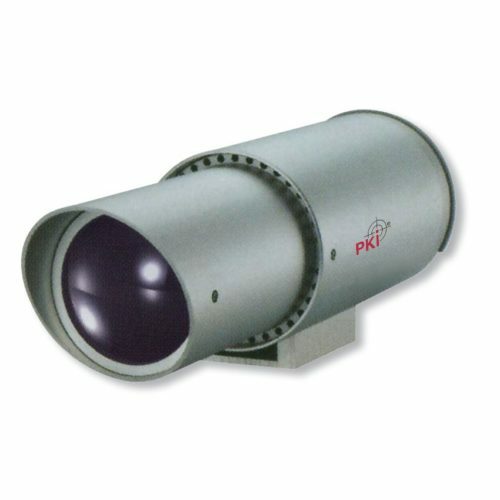 Therefore PKI Electronic Intelligence has developed a hybrid illuminator with a range of 200 m. This LED illuminator consists of 560 LED’s on one chip, bundled by 2 convex lenses which allows you to reach this enormous distance. It can only be topped by very expensive laser within IR-range, however, these laser can cause serious eye injuries. PKI Electronic Intelligence recommends to up-grade your cameras!